Ladies Shred Sessions are Back!!! It’s Time to Fire up a New Era of Ladies Shred!!! Join the ladies of OvR for the Ladies Shred Sessions! Are you a female snow sports enthusiast looking for a community of like minded ladies who love to shred? New to the area? New to snow sports? Looking for a place where ladies can comfortably and confidently build skills in an active outdoor environment? Look no further, we’re assembling a team of talented ladies who love the snow to head up our very special OvRride Ladies Shred Session Program! “Ladies Only Shred” mission is to provide a snow sports focused community for the ladies of NYC. 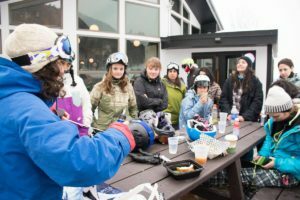 You’ll meet other women in the area at your level (at any level) and new shred-buddies that you can ride and ski with throughout the season. We believe the best way to build your skills is by growing with a supportive and inspiring crew. 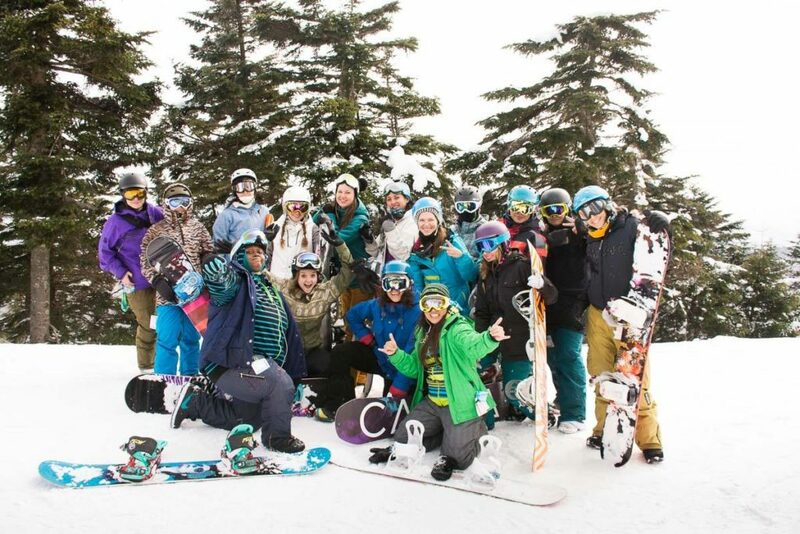 We’re partnering up with Mount Snow this year and offering ladies a chance to begin or progress in the snow-game. This series is designed to allow you the opportunity to focus on areas you’d like to improve including tree riding, jibbing-it-up in the park, or simply building confidence cruising down the mountain! We’ll bump up to Vermont for full day where you’ll have the opportunity to participate in clinics, ride with the crew, and be part of the group programs, like tech-tip sessions! New programs this year are set focus on big mountain riding and skill development, in addition to our always popular terrain park clinics. We’re also stoked to announce some new partnerships this year, the first ever “Ladies OvRnight”, expanded access to the Burton Girl’s Park Affair Event, and so much more… Stay tuned for more announcements in January 2017! Come show your love for shredding the snow and take your skills to the next level. We’re offering a day of progression for the ladies – from beginners to advanced riders and skiers. 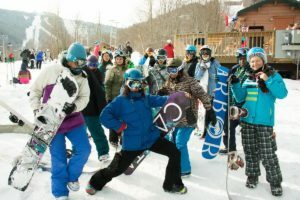 Clinics are run by MT Snow’s awesome school of instructors, including some of the best female shredders on the mountain! Whether it’s basic turns, carving techniques, speed, jibs or park sessions, we’ve got what you need to get to the next level. 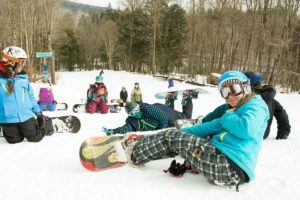 Groups are divided up by level of ability and remain small for the Learn to Ride Sessions and Learn to Ski Sessions to maintain a low student to instructor ratio. At 4PM the lifts may stop spinning, but our day isn’t over yet! We’ll hit the road on the Ladies Shred Crew Bus for the Apres party on wheels! We’ll have raffles & giveaways to share from our sponsors along with some refreshments and spirited post day celebration! Check the Calendar for all our Ladies Shred Session Dates and Get with the Program! Join all 3 Ladies Session trips Including a Session of your Choice on Each Trip for a Special Price of $499.95! In addition, get 50% off extending your Session #3 into the OvR Ladies OvRnight! One day just isn’t enough… on the Ladies Shred Session OvRnight and you’ll be down for the DEAL OF THE CENTURY!!! 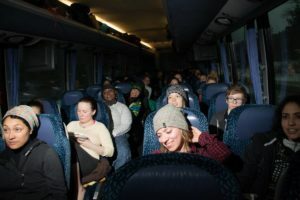 Ride up, as per usual, on the Ladies Shred Session #3 Mount Snow bus in the morning. You’ll get the full day, the final Ladies Shred Session of the season, and your room will be waiting for you when you finish right there at the mountain. Since you’ll wake up the next day slope side, there’s no excuse why you can’t get after those early turns and put into practice. Meet the next day’s bus right where it dropped you the day before to catch your return trip. Mount Snow is one of southern Vermont’s premier mountains! 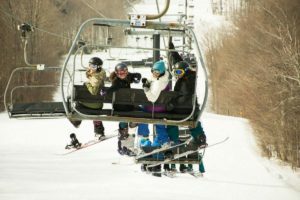 If it’s a big mountain, more snowfall and terrain options you’re looking for, then Mount Snow should be in your bag. You can ride everything from wide open groomers to scenic tree runs. If you get down in the park, you definitely need to check out Carinthia, voted the number one East coast terrain park by TransWorld magazine. The 95-acre all-mountain park lives up to the rep with well planned and well maintained jumps, jibs and 2 pipes. By the time you rock through the Ladies Shred Sessions, you’re gonna want that snow… and there’s no name in snow like Mount Snow!!! Get away for the season capper Ladies Shred Session OvRnight and finish strong!